Its time consolidate lead and continue the unbeaten run as Namma Bengaluru FC meet East Bengal tomorrow, 3 pm at Bangalore Football Stadium. Albeit the hosts will start the game as the favorite, but they will be wary of the fact that East Bengal is one of the two teams, who have beaten Bengaluru FC in this year’s I-League. The visitors had got the better of the Bangalore outfit 2-0, when they had met in their first leg encounter at Kalyani in West Bengal. However, both camps agree that at Kalyani, East Bengal had the advantage of soggy and heavy ground conditions and also the fact that it was Bengaluru FC’s first away game of the tournament. Chhetri’s current form is something that is giving Coach Ashley great boost! He is in red hot form, struck six goals in last three matches. Though the team is looking forward to pocketing full points, Bengaluru’s English coach maintained that they are not looking at the game as a revenge match. “It is not a case of revenge. We have remained unbeaten at home and have always tried to pick up full points infront of the home crowd. Even on Sunday, we will try and do the same,” said Westwood. However, there could be some concern for Westwood in defense as John Johnson, who has stood like a rock will not be able to play against East Bengal as he has picked up four yellow cards in the league. The visitors look a depleted side with their key members down with injury. Uga Opara, Mehtab Hussain and Joaquim Abranches are not available due to injury. However, Coach Armando Colaco is hopeful that the rest of the players will be able to deliver the goods. “I have always maintained that football is a team game. You cannot depend on just a few individuals and win matches. 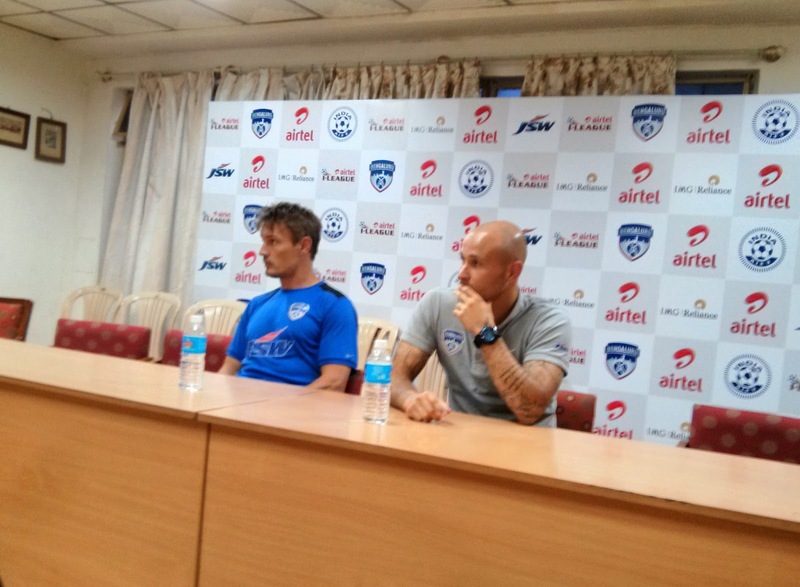 It’s a team work and I am confident that against Bengaluru FC, the team will perform well,” said Colaco. “I have just told the players to go out there and enjoy the game. I know Bengaluru FC is a strong team, but we are going to give a tough fight on the ground,” he added. Colaco pointed out that no team can be taken for granted in this season’s I-League. “No team is strong or weak in this league. It is because the quality players are spread evenly amongst all the team. On a given day, any team can get full three points. I think this is the most competitive I-League,” said Colaco.